The Italian American Writers Association (iawa) presents Philadelphia-bred authors Amy Barone and poet and artist, Al Taconelli on Saturday, March 14 at Cornelia St. Café, 29 Cornelia St. in New York City’s Greenwich Village, www.corneliastreetcafe.com; or 212-989-9319. Readings begin with an Open Mic followed by featured readers and book sales. Amy Barone’s new chapbook, Kamikaze Dance (Finishing Line Press; FLP). She was recognized as a finalist in FLP's New Women’s Voices Chapbook Competition. Her poetry has appeared in print and online in CityLitRag, First Literary Review-East, Gradiva, Impolite Conversation, Three Rooms Press' Maintenant, Philadelphia Poets and The Rutherford Red Wheelbarrow, among others. Her first chapbook, Views from the Driveway (Foothills Publishing, 2008). Barone spent five years as a correspondent in Milan for Women's Wear Daily and Advertising Age. She is a board member of the Italian American Writers Association (IAWA) and co-curates and promotes IAWA’s monthly readings on 2nd Saturdays in New York City. She is a professional member of PEN America Center and belongs to the Brevitas online poetry circle. A native of Bryn Mawr, PA, Barone lives in New York City. For a recent interview with Barone, visit At the Inkwell. 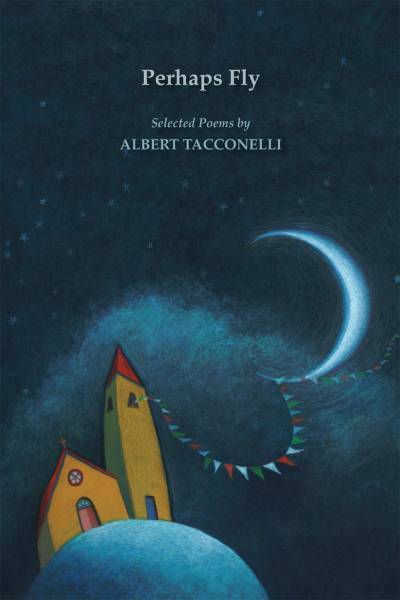 Artist and poet, Albert Tacconelli's latest poetry collection, Perhaps Fly (Bordighera Press) is preceded by two chapbooks: Two Countries One Heart, The Laurenzi Poems, Short Stack, and That One Pure Time. His work has appeared in Paterson Literary Review, Philadelphia Poets, Endicott Review, Mad Poets Review, VIA, Avanti Popolo: Italian-Americans Writers Sailing Beyond Columbus, and Fourteenth Poetry Ink Anniversary Anthology. His artwork is included in the permanent collection of contemporary art at Passaic County Community College; he has exhibited at The Philadelphia Sketch Club, Mariani Italian American Museum and Institute, and Galleria Artemisia. Tacconelli won Honorable Mention in Ohio Poetry Association’s Summer Solstice Contest; runner up in Philadelphia Poets First Annual John And Rose Petracca & Family Award; and received the Allen Ginsberg Poetry Contest Editor’s Choice and Honorable Mention. He lives in Wynnewood, Pennsylvania. The Italian American Writers Association (www.iawa.net) Literary Readings is the longest running literary series at the Cornelia St. Cafe. Since 1991, IAWA has given voice to writers through its literary series every second Saturday of the month. IAWA East is held even months at Sidewalk Café and IAWA West continues at Cornelia Street Café on odd months.